Twenty four of us enjoyed another great Sabra/Sabre Meeting over the first weekend in September, this year in South Wales. 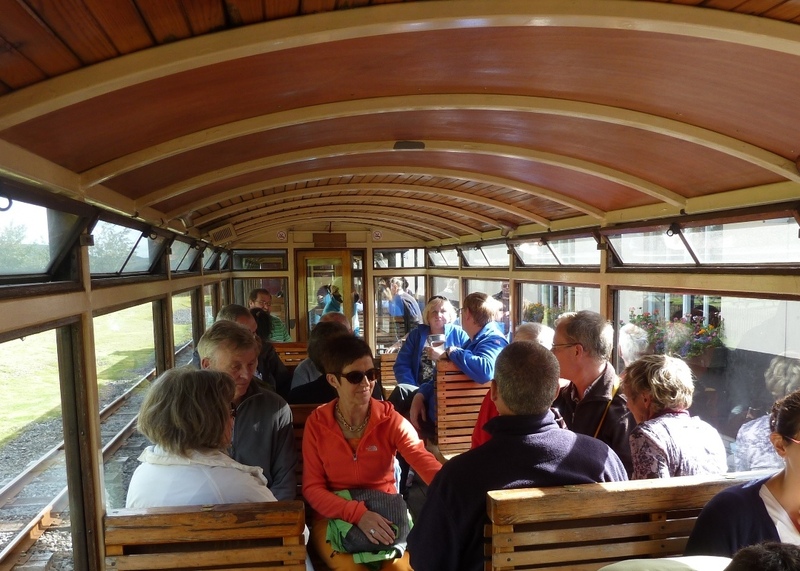 Val Lewis and Malcolm Marchbank hosted the event in the pretty Brecon Beacons. 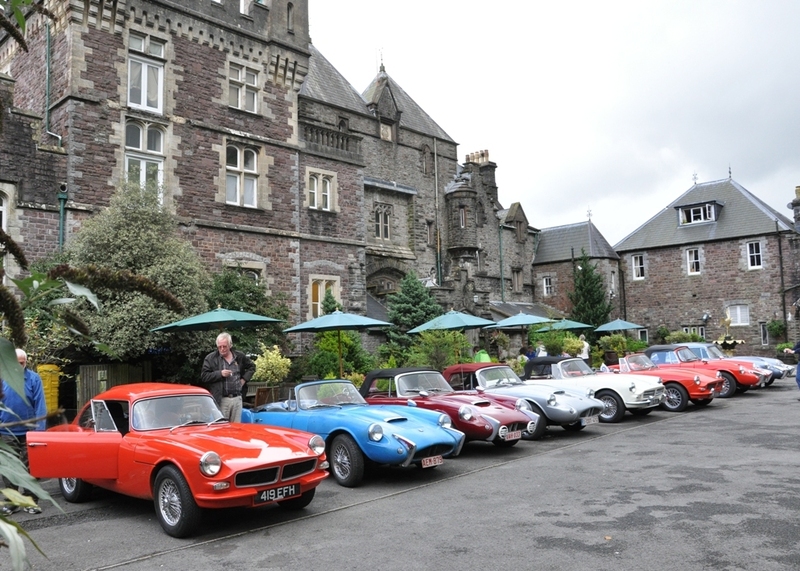 We arrived at the hotel, Craig-y-Nos Castle, on Friday evening after a busy drive via the M25 and then the M4. Being a Friday afternoon there was plenty of traffic. However six cars, four Sabras and two Sabres managed a lunch stop enroute at Castle Combe village where we met up with Mike and Angie Thompson who had come to look at the cars and meet the owners. They were very impressed and Mike went away with good intentions to re-start his own Sabre Six restoration. 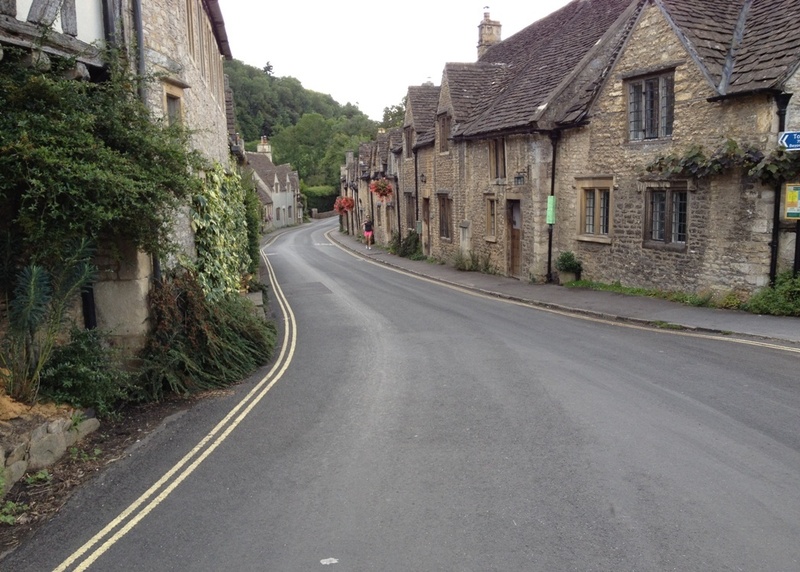 It was easy to see why Castle Combe is described as the prettiest village in England. Craig-y-Nos Castle Hotel is an impressive and interesting building. It was owned until 1919 by the opera singer Adelina Patti. Although famous in her day she is not remembered well today because she predated radio, television, records and CD's. All our rooms were different and each had its own special character. 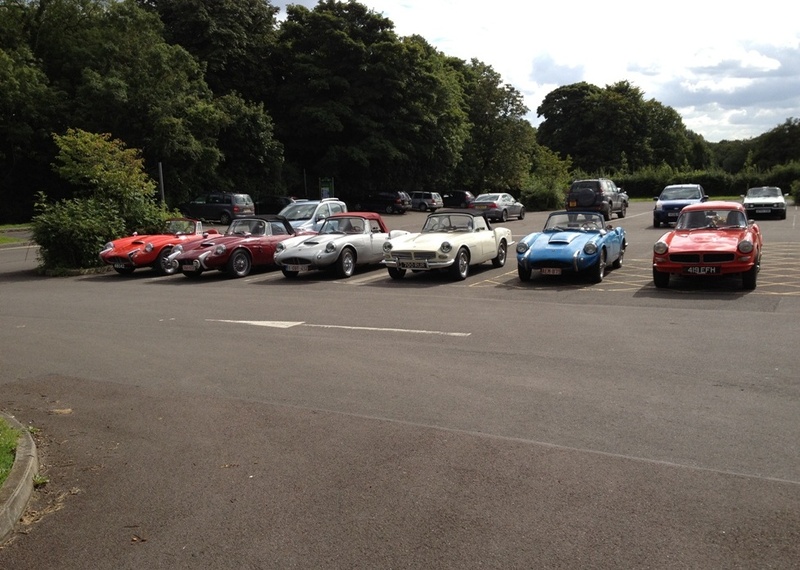 On arrival we parked in the car park along with ten other Sabras and Sabres. This year for the first time in recent years we had more Sabras than Sabres. Tony and Linda Richardson were Sabreless due to a last minute incident at home that resulted in a burnt out ammeter! The usual participants were there plus new RSSOC members Bernard and Delourdes Debourge who came for the first time in their newly restored French registered Sabra. They had driven from their home in Ireland with no problems and the car looked stunning. 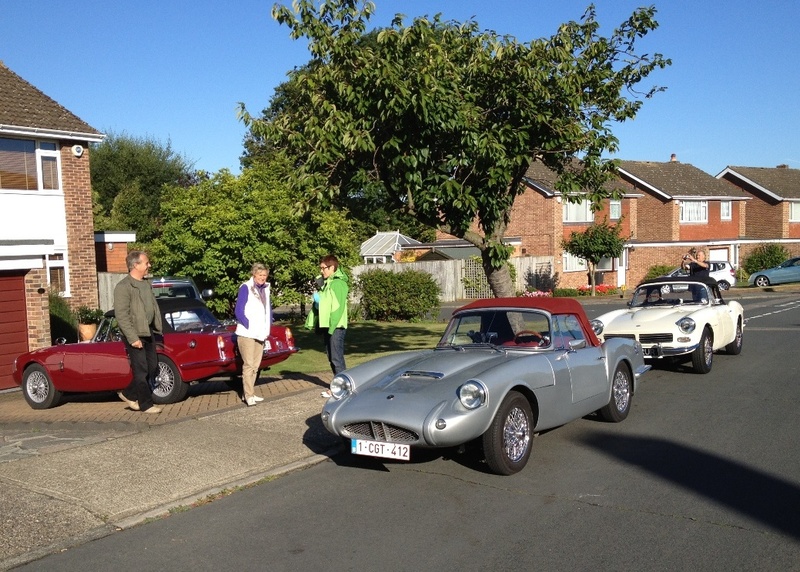 It was also the first time Mark Cooper and his Sabre Six had spent the whole weekend with us. 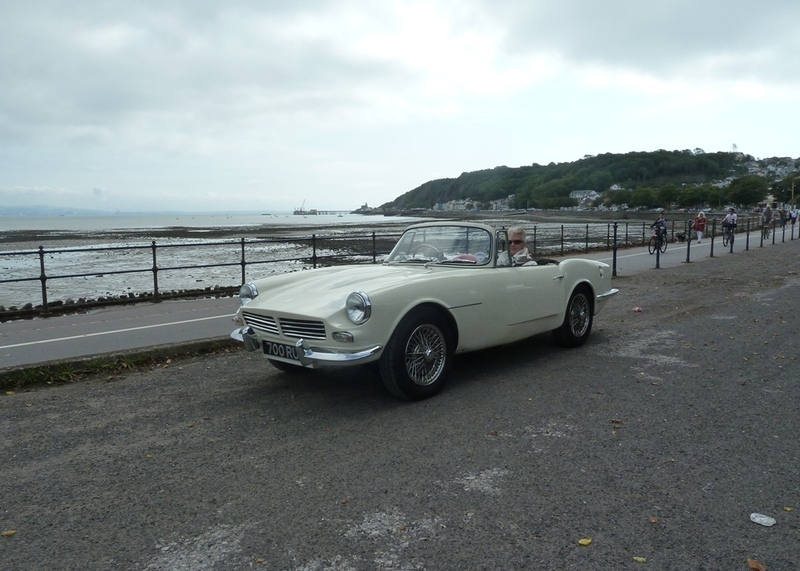 Luc and Monique, who had organised last year's event, were there with their newly restored Sabra for the first time. We had cars and people from England, Belgium, Wales, Ireland, Luxembourg, France, Germany and Thailand. Truly international. The evening started with a champagne aperitif before dinner in the vast dining room. Afterwards there was the usual chat and banter and discussions about the plans for the next two days. Saturday was dry and fine with a fair breeze but since we were driving to the Big Pit in Blaenafon the weather was perfect. A visit to a coal mine was unexpected and enlightening especially as I learnt that one of our group, Luc from Belgium, used to be a miner. What those poor workers a 100 years ago, some as young as six years old, had to endure was amazing. We travelled down the 90m deep mine shaft in a caged lift holding about fifteen people. When the pit was working the lift would have carried double that number of men and children. Lunch above ground was a typical Welsh Cawl followed by Bara Brith. 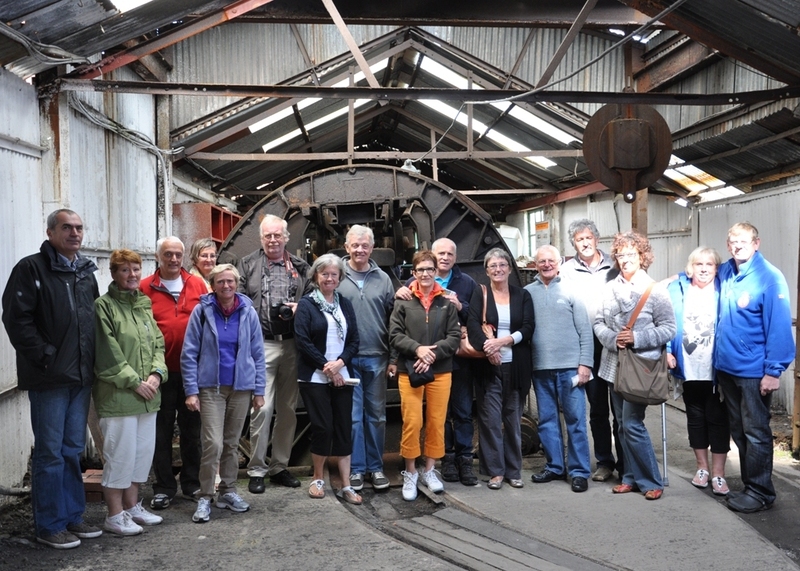 We were then free to explore the site and visit the other exhibitions before leaving for a trip on the Brecon Mountain Railway's steam driven train. We left from Pant station and travelled the whole length of the Taf Fechan Resevoir stopping enroute at Dol-y-Gaer before ending back again to collect our cars and drive the scenic route home. Another champagne reception awaited us before dinner which included the famous Laver Bread (an acquired taste) in the evening. Sunday after breakfast we drove to the National Welsh Folk Museum, "St Fagans" in Cardiff where we spent the whole day wandering round in the tranquil setting. The museum is described as a walk around Wales – from Celtic times to the present day. It is one of Europe's leading open–air museums and Wales's most popular heritage attraction. During the last fifty years over forty original buildings from different historical periods have been re-erected in the 100-acre parkland, among them houses, a farm, a school, a chapel and a splendid Workmen's Institute. Later in the afternoon members of the South Wales Noggin came along to admire the cars. The museum provided an excellent opportunity for a quiz which Val and Malcolm had duly devised. 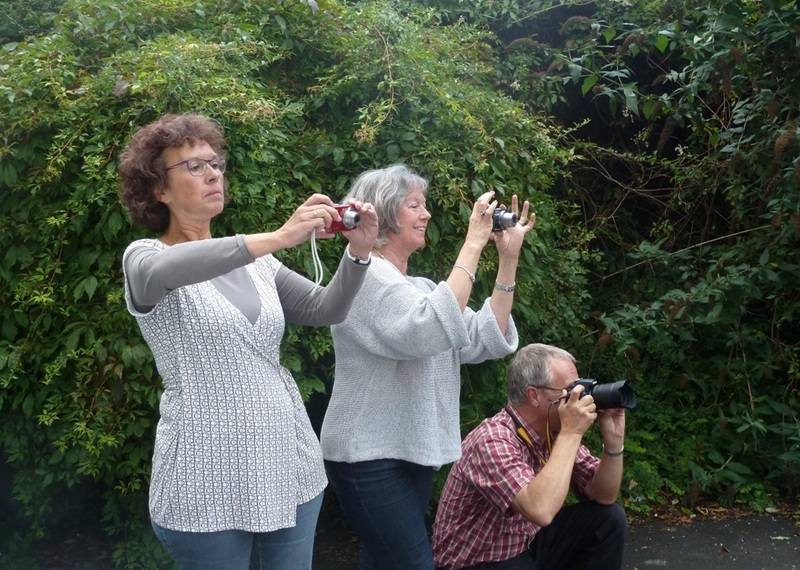 The winners were Tony & Linda - but perhaps they should have been penalised for failing to bring their Sabre! In the evening the hotel had laid on a carvery for us with enough meat to feed double our numbers. Sadly that evening we returned to our rooms to pack before travelling home or continuing our holiday the next day.